The Big Compute product team will be attending and exhibiting at this year’s Siggraph Conference in Anaheim, CA, which is widely considered the premier event for computer vision and graphics. Over the last year we’ve been hard at work in building a robust set of services and partner ecosystem to support rendering and simulation workloads in the cloud. We understand the challenges and nuances that come with migrating these complex workloads to the cloud and have spent a lot of time working with various customers and partners to build an end to end story and strong ecosystem that removes the friction from lifting and shifting or bursting workloads into Azure. Our presence this year is heavily focused around the partners and the ecosystem we’ve established this year. This includes the preview availability of Azure’s N-Series VMs which are powered by cutting edge NVIDIA GPUs. This is the first time Azure will be providing GPU based visualization and compute capabilities in the cloud; enabling and opening up various scenarios such as GRID enabled desktop applications and GPU-accelerated ray-traced rendering. "We’re excited to closely partner and work alongside Microsoft Azure to bring our cutting edge GPUs to the cloud. Bringing together the leading enterprise cloud with world class graphics acceleration from NVIDIA means, for the first time, customers can transform their design workflows with professional graphics applications as a service.” – Bob Pette, VP/GM pro visualization, NVIDIA. Additionally, we’ll have one of our premier launch partners, Teradici, showcase their PCoIP technology utilizing the Azure N-Series VMs, enabling VDI scenarios in Azure for applications such as Autodesk Maya. Customers at launch will be able to use Teradici’s Zero Client or Soft Client to connect to the GPU Virtual Machines seamlessly. “Our customers have been asking for GPU based capabilities in the public cloud for a long time and we’re excited to partner with Microsoft Azure to bring Teradici’s world class and proven PCoIP technology to customers.” – Dan Cordingley, president and CEO, Teradici. At the Microsoft booth we’ll also be talking about other recent announcements such as the availability of Avere on Microsoft Azure and showcase Azure capabilities such as our flagship HPC as a Service offering, Azure Batch, which helps customers scale to thousands of VMs for large scale rendering projects. Additionally, we’ll talk about how Azure is MPAA compliant. Some of our customers will also be sharing their experiences, such as Jellyfish Pictures who are a BAFTA award winning VFX studio based in London, bursting into Azure for their rendering needs, scaling up to tens of thousands of cores. Please come visit us at booth 843. Additionally, you can also learn more about what we’re doing at our Exhibitor Session at room 304C on Tuesday, July 26 at 2:00 pm titled, “Why you should be rendering in the cloud,” and at NVIDIA’s Theatre on Wednesday July 27 at 10:30 am titled “Leveraging Microsoft’s Azure N-Series for Rendering Workloads and Visualization.” We’ll also be holding additional talks at our mini theatre throughout the exhibition located on our booth with talks from customers such as Pixar. 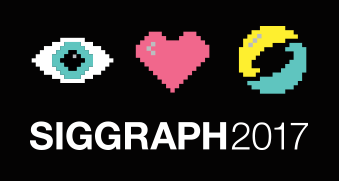 Looking forward to seeing everyone at Siggraph!